Specialized in creating print items both for business and individual needs. From the wide selection of print services that we offer, our most popular ones are flyers, business cards, brochures, banners and leaflets. We offer digital and offset print services, and can easily say that we are a one stop print shop for all your needs. If you need some help with the designs, our highly professional design team will help you transfer your visions onto paper. 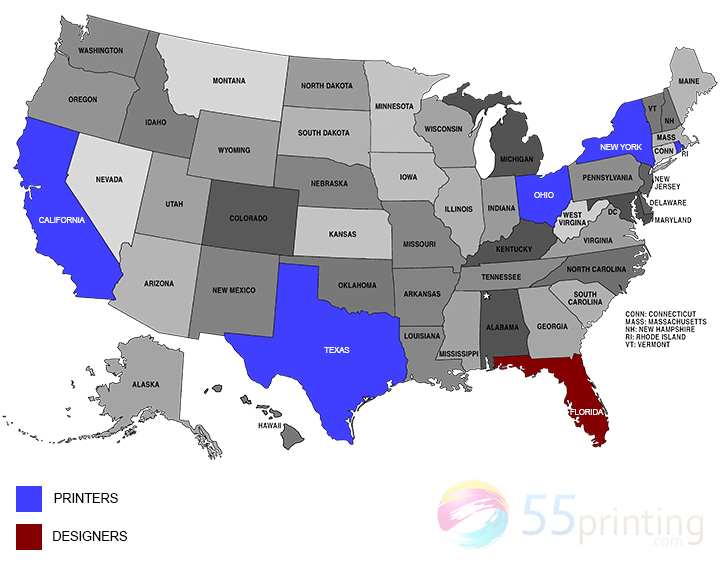 Make a better impression with 55printing.com! * Design department in Miami Beach, Florida. 14-Point PrePress Check Process by our staff of professional designers.